After the success of the movie Kita Kita, actor Empoy Marquez has quite a busy schedule to manage these days. 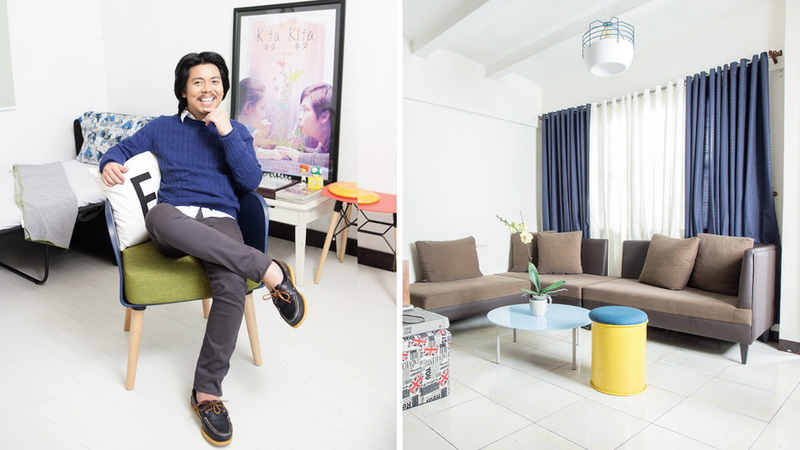 While he stays in his Quezon City condo unit most of the time, it’s safe to say that this two-storey property in Bulacan equates to home sweet home. As if mirroring the modest and easygoing personality of the actor, the house looks calming and inviting, with a spacious layout and basic pieces taking center stage. From the living and dining areas, to the kitchen and bedroom—one can instantly appreciate its uncomplicated aesthetic reminiscent of typical Filipino homes. Guests can feel at home the moment they step inside, the living area is roomy enough to accommodate visitors, and there’s an undeniable cozy vibe. Empoy acquired the property in 2009 but he dreams of building a dream home in the future. “Simple lang na up and down. Basta gusto ko, ‘yong pamilya ko kasama ko. ‘Tapos, kunwari may laruan sa loob, basketbolan sa loob, gano’n. ‘Tapos, may pool. Gusto ko, may bukid, ‘tapos overlooking. Makikita ‘yong bukid mula sa bahay. Bukid, pero may swimming pool, hehe,” he muses. With his perseverance and dedication, we’re a hundred percent sure that it won’t take long before his dream comes true.